Your computer adds on junk in your hard drive by creating and appending various logs and other temp files. These, on a longer run consumes your precious hard disk space. The software which we are reviewing today is a PC cleaner which not only cleans your computer, but also guards your privacy much stronger than any of the paid software out in the net. Everyone of us like to play around with our PC. We all love to go beyond the extremes, testing things that are not safe or trying to get a taste of what is known to be dangerous. And if you are not the only user of your computer, having a capability to freeze your PC would be of great use to you. What if you suspect the USB drive you want to open has a really bad virus in it? What if you don't want anyone to change or alter your settings? The solution to all the above are simple. Freeze your PC. ToolWiz Time Freeze is a free utility which give you the ability to freeze your computer. On the next restart, everything will be like you have left them. This software has an exclusion list where in you can allow the changes to particular files even when the software is running. Installation of the software is very easy and it is in fact a software worthy of trying. There might be some songs, especially the old ones, which are very low in volume. But you love it and want to hear it a bit louder. You search the entire web for the song and you fail. This is exactly the situation where this free online music volume increaser helps us. 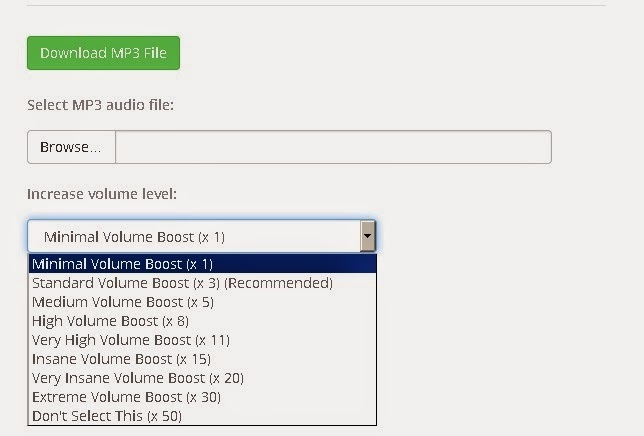 Simply browse the files and select the modes you need. Following are the various modes that the website offer. We were searching for a tool which could give you all the power, capabilities to maintain your computer at optimum condition, free of cost. Then we we found the software Glary Utilities. It is an amazing freeware tool whichhas the ability to clean your disks, protects your privacy and accelerate your PC's performance. It can help you fix registry errors, removes clutters and maximize your internet speed. This article caught my attention. 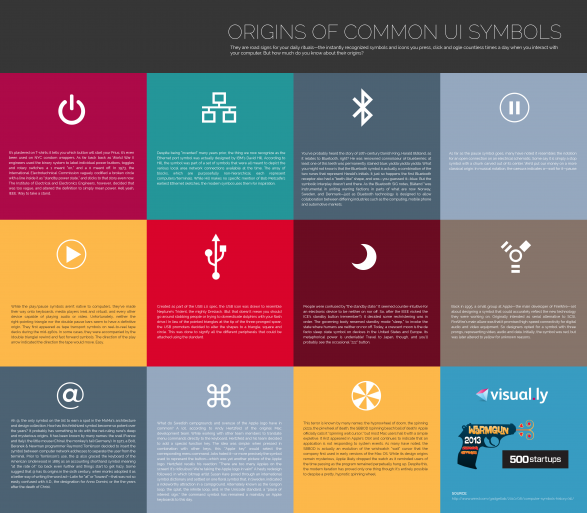 It is about the origins of various Common UI symbols we use regularly. Everyone of us should know how those symbols originated. Read on and share. The net has developed and grew tremendously and has made our lives easy. On the same time, it has also become one of the biggest place wherein you will have to exercise due caution in each and every step you take. There are viruses out there trying to burn holes in your pocket and mind by destroying your data and your computer. There are malwares trying to extract information about you including but not limited to your credit card numbers and bank account numbers. There are trojans sitting idle waiting for the call from their masters. There are a number of good malware scanners in the market. Malwarebytes is one of the best among them. The reason for this article is that there exists a program which is free, which goes very low on your computer in terms of memory and CPU usage and yet incorporates 68 industry standard anti-malware scan engines free of cost. It is called herdProtect. Unzipping a file is not at all a problem, since we have immaculate softwares to take special care of the extraction like WinZip and WinRAR etc to assist us in the process. But what if your computer does not have these softwares and you are incapable of installing them due to your restricted environment or by policies imposed by the administrator. Another scenario can be that the file might be in the internet and you are unable to download it due to some reason. This is where Unzip Online comes to help. A neat and tidy website which does not require any assistance for the user to do his job. Compression as we all know is the reduction of size of a file in order to save space and the time required to transmit it to others. We often come across ebooks which have a very large size. It is because of various features incorporated in the document, like high quality pictures. Now if you want to send the file to one of your friend, what would you do if your email provider does not allow that big a file? Yes, you can break them into pieces using softwares like Winzip or WinRAR and send them. Or you can use several web based programs which transfer big files. But what if we are able to compress and send them without breaking it into pieces by using a tiny software which is free. Free PDF Compressor is one such software which is free and it allows users to select the method to compress the pdf file. We will be resuming our posts from now on and hope that we will have your company in our journey called the COMPUTRIX. Apowersoft online screen recorder is the one which we are going to present to you today. It is indeed immensely popular for so many reasons. We @ Computrix loved it for the reason that it is free and is unlimited unlike other competitors.